A pedestrian was taken to hospital after a road traffic collision on Monday morning. The incident was reported to the P.S.N.I. shortly before 9:00am. The collision occurred in Castlereagh Street in east Belfast and involved a car and a male pedestrian. P.S.N.I. Inspector Sayers appealed to anyone who witnessed the collision to contact the police immediately. "The collision, involving a taxi and a man aged in his 20s, was reported to us just before 9:00am," said Inspector Sayers. 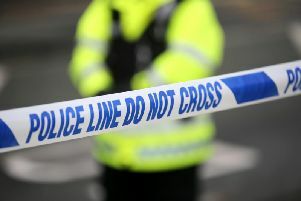 “I am urging anyone who witnessed the collision, or who captured it on dash cam, to get in touch with us on the non-emergency number 101, quoting reference number 229 of 11/02/19," added Inspector Sayers.